WordPress is undoubtedly the most preferred CMS platform nowadays. Even our beautiful website is created using WordPress. Due to its popularity and development, themes, or templates that are specially made for sites powered by WordPress also gained considerable fame in the market. 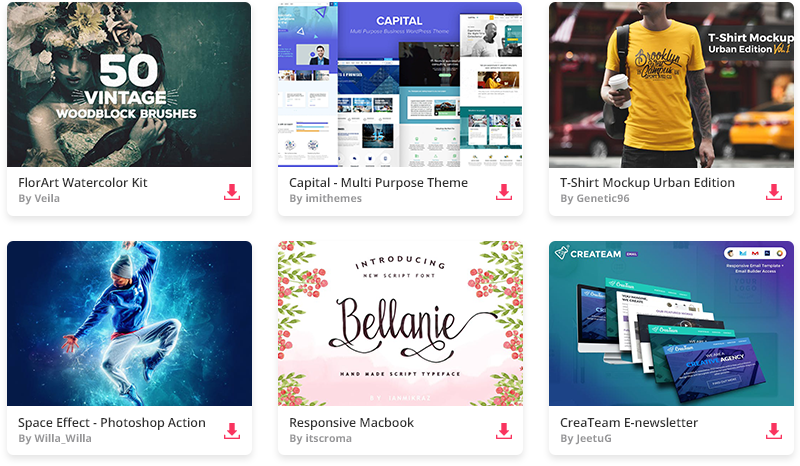 Let us introduce you the ones that we think are the best themes on the market at the moment. More than 200000 sales on Themeforest say it all. Avada is the #1 selling WordPress theme on the Themeforest. Simply put, it is the most versatile, easy to use multi-purpose WordPress theme. It is truly one of a kind, other themes can only attempt to include the vast network options that Avada includes. Avada is all about building unique, creative and professional websites through industry leading options network without having to touch a line of code. Wish is a responsive multi-purpose WordPress theme that comes with 110+ custom visual composer elements that lets you build any layout you could imagine. Wish comes bundled with Visual Composer and Slider Revolution, it is translation ready, supports WooCommerce with tons of customization. Wish has very powerful blog with over 50 customizations. Wish has 6 footer types with an option to set different footer on different pages. Wish also support header image (banner) which allows you to set different banner on different pages/posts. Wish has in-built 15 layouts which can be imported with 1 click. Visual Composer that ships with Wish is slightly modified and lets you preview all the Wish elements before you can add them to the page. Wish has in-built under construction functionality and lets you build the complete under construction page by yourself. The7 is one of the most customizable WordPress theme on the market. People new to multipurpose WordPress themes will be delighted with The7 Design Wizard. It allows to choose basic settings like branding, colors, header layout, etc. and intelligently calculates all the rest. Your pro-grade site design is ready in mere minutes. Automatically! You don’t have to buy a new theme every time you want to change the look of your website. Total is a modern and responsive WordPress theme designed to be customized. The theme was created with many different niches and professions in mind – bloggers, online stores, lawyers, agencies, wedding planners, hosting companies, nonprofits and more. Just have a look at some of our industry specific homepage examples to get an idea of just what kind of magic Total is capable of. The theme is packed to the brim with great features like WooCommerce integration or Unlimited Portfolios. Be is full of different pre-built websites so you can easily import any demo website within seconds at 1 click. Striking is a true multipurpose theme, and can be used for site types ranging from photography to gaming, automotive and real estate, blog, portfolio, ecommercie and colleges and universities for their websites! The theme is highly flexible, and endlessly customizable. RT-Theme 18 is a responsive premium WordPress theme with powerful CMS tools. You can use it for business, corporate, product catalog, services or portfolio web sites. The product and portfolio tools also give you wide opportunities to use in various services as tour itineraries, rent a car, real estate, hotel presentations and much more. Unicon is the first design-driven Multipurpose WordPress Theme with great attention to details, incredible features, an intuitive user interface and everything else you need to create outstanding websites. Whether you are launching a creative agency site, an ecommerce shop, a business website, a blog or portfolio, Unicon is the ultimate tool for creating immersive websites. Be amazed how quickly you get your next website up and running. Wow, this is a great selection.